As might be expected, the investment plans for Britain’s railways unveiled yesterday were largely shaped by politics, giving rise to some curious outcomes. Take South Wales, where the programme included electrification of the following lines. However, the programme for London did not include Gospel Oak to Barking or Dudding Hill electrification, although their value for money would doubtless be higher. Writing for Wales Online, transport expert Mark Barry explained why the announcement needed to be the catalyst for a world class integrated transport network in South Wales. The decision by Transport Secretary Justine Greening to confirm electrification of the Valley Line network and the Great Western Main Line to Swansea by 2018 ends a remarkable seven days for the Welsh economy. Last week a direct rail link to Heathrow was confirmed that will enable journey times between Cardiff and Heathrow Airport of perhaps 100 minutes by 2021, as well as the prospect of a city region for the whole of south-east Wales. All these formed key components of my report last year, A Metro for Wales’ Capital City Region – Connecting Cardiff, Newport and The Valleys. The report, aligned to the work and efforts of many groups and individuals like the Cardiff Business Partnership, Institute of Welsh Affairs, The Great Western Partnership and Professor Stuart Cole, alongside my own, has resulted in a fantastic outcome for Wales. Mr Barry’s January 2011 report for the Cardiff Business Partnership, recommended investments totalling up to £2.5 billion, and the establishment of a delivery agency. Whilst government has an expertise and focus on policy, it is often less adept at implementation, especially in delivering major infrastructure schemes. As with bodies like Crossrail and the Olympic Delivery Authority, the development and implementation of the Cardiff Metro needs a similar organisation that can deliver the scheme without the constraints that exist in government. Such an entity could be quickly established and secure the most ably qualified and expert resources from both the public and private sectors. 1. A Cardiff City Region approach to transport and economic development. 2. Strong public and private sector leadership. 3. A simplified rail industry. 4. Investing around £300 million a year over the period 2015-2025. All are needed to ensure the opportunities presented by Cardiff are enjoyed by its entire city region. We should aim to do a few things well instead of succumbing to the slow decline of homogenous mediocrity. Mr Barry’s report doesn’t give cost-benefit or demand data for the Valley lines schemes. If such numbers exist, I doubt whether they’d be very impressive. The real case must be bound up with medium term population growth, and Keynesian stimulus. With Britain’s population headed for 70 million in a few years, a lot of the growth is likely to have to be accommodated in south Wales. In July 2009, the then transport secretary, Andrew Adonis, announced the electrification of the 308 kilometre section of the Great Western Main Line from London to Swansea, along with ‘commuter’ offshoots to Bristol, Oxford, and Newbury, with preparatory work beginning “immediately”. But the scheme was put under review soon after formation of the May 2010 coalition government. The new transport secretary Philip Hammond’s statement of 25 November 2010 avoided any mention of electrification west of Didcot. Swansea is the second largest city in Wales, with a population of over 200,000. 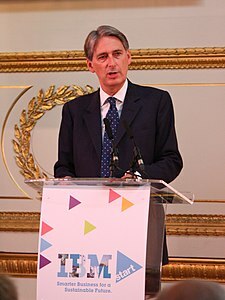 Nevertheless, in March 2011, Mr Hammond confirmed suspicions that it was no longer part of the electrification, which he said would only extend from Paddington to Cardiff (234 kilometres). The justification offered was that electric trains on the London to Cardiff section would provide a time saving of about 20 minutes, but not much saving beyond Cardiff. At present, the diesel London to Cardiff intercity service is generally half-hourly, with half of those trains continuing to Swansea. So, considering the 2011 London to Cardiff/Swansea passenger services as a distinct group, the Cardiff-only scheme converts 76% of route mileage, and 88% of vehicle mileage, to electric traction. However, there are other services between Swansea and Cardiff that could benefit from electrification, and it’s generally more expensive to undertake such projects separately at a later date. Mr Hammond announced that the Hitachi Intercity Express Programme ‘Super Express’ trains would be procured in electric and electro-diesel (‘bi-mode’) versions for Great Western Main Line into south Wales. A number of Intercity 125s would continue to operate the Great Western’s line to Devon and Cornwall. The ‘bi-mode’ IEP trains would allow continuation of ‘through’ London-to-Swansea services (i.e., no need for passengers to change train), without the (small) time penalty associated with a change from electric to diesel locomotive. Not much detail have been given as to the composition of the Hitachi Super Express fleet. The IEP programme is hardly recognisable from early 2009, when the supposedly “British led” Agility Trains consortium was named as preferred bidder by the Department for Transport – with a design that failed to meet requirements that the Department had previously deemed “essential” (e.g., weight).